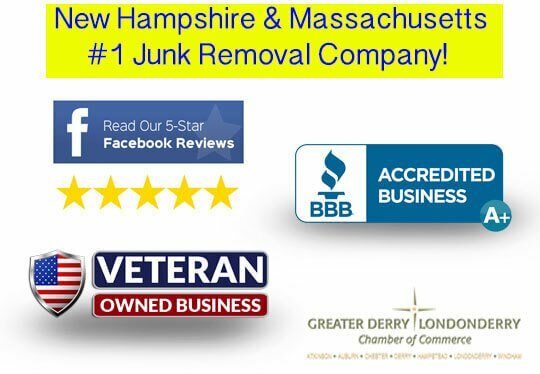 Learn How To Get Junk Removal In Nashua NH For Less! We try to answer every single call and if we don't we will call you back asap, always same day! We don't nickel and dime our customers, need a favor, maybe something moved out of the way or to the other side of the house, no problem! Handwritten thank you cards from the owner because we appreciate your business! 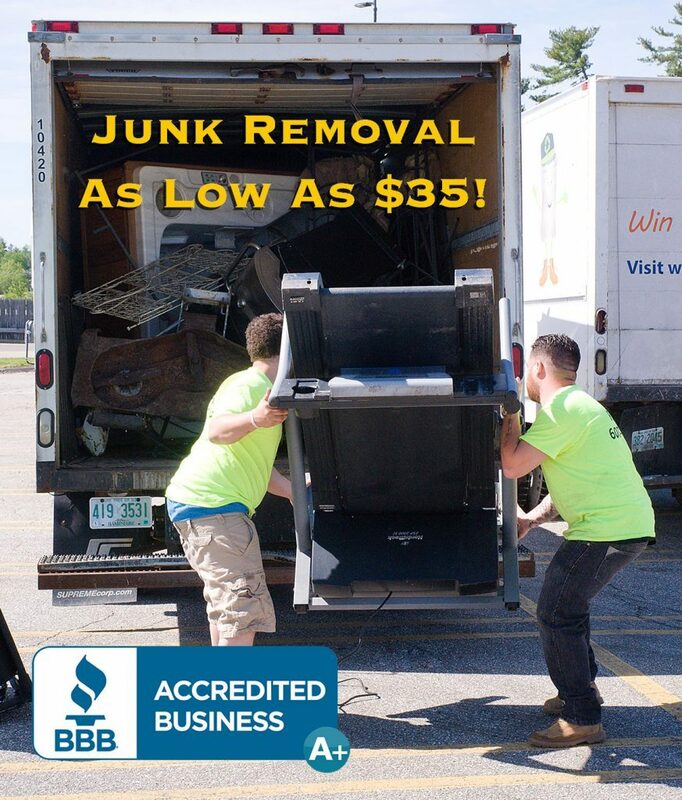 Spring Special - call and use promo code "Nashua40" and get $40 off your junk removal! Junk Removal Services - You point to it, we remove your junk from where it sits! You name it we take it! Our junk removal services start as low as just $35! No job is too large or too small, you name it we haul it all! Affordable Dumpster Rentals - Why pay $500 for a huge dumpster to sit on your property for a month to only use half of it? We provide affordable dumpster rentals priced on what your actually throwing away, leaving it on your property either during the week or the weekend all to help reduce the cost of your dumpster rental in Nashua! Whole House Property Cleanouts - Whether its a basement, attic, garage, or a whole entire household we have the professional know how to get the job done right the first time, under budget and on time! Like every customer, every job is different, that said unlike our local competitors we do not use cookie cutter pricing in Nashua we price each job accordingly and offer discounts for items that we can donate, recycle, and even pay you for items that we may be able to sell!